The merger of both the entities is expected to be completed in the next fiscal year in consultation with the government. This acquisition results in an $80-billion lending giant by assets and potentially helps in faster resolution of stressed assets in India's power sector. PFC taking over REC makes it a dominant player not only in the power sector but also in the entire financial market space. 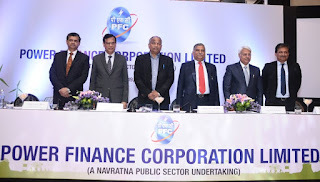 PFC's strategic importance to the government will further increase upon completion of the acquisition as the combined entity will become the biggest non-bank finance entity in which the government holds a controlling stake. Since PFC and REC have a robust presence in the consortium of lenders to power companies, the consolidation will help in the faster resolution of stressed assets. Q. Who has become India's second largest State-Owned Financial Firm after aquiring a majority stake in REC?